Hoho Rights appoints Haven Licensing as agent for popular CBeebies series. Popular CBeebies TV series Cloudbabies is heading to Australia and New Zealand. Hoho Rights has appointed Haven Licensing as the licensing agent for the showin Australia and New Zealand. 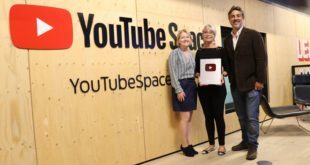 Hoho Rights has also just signed a home entertainment deal with ABC Commercial following the January launch of Cloudbabies on top pre-school platform ABC4Kids. 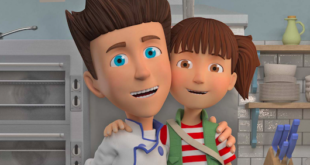 The cloud-bouncing toddlers will also premiere in New Zealand on Kidzone24. Created by award-winning art director Bridget Appleby (Fifi and the Flowertots, Noddy, Enjie Benjie) the 52 10-minute episode pre-school series made its debut on CBeebies in May 2012. 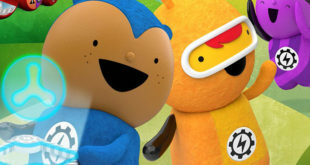 "We are delighted to welcome Haven Licensing on board to act as our representatives for Cloudbabiesin Australia and New Zealand," said Helen Howells and Oliver Ellis, Joint MDs of Hoho Entertainment. "As Australia’s leading independent licensing agency they havea great track record in the management of pre-school brands and we know our little ones will be safe in their very capable hands". Elastic Rights is the Southern Europe licensing agent for Cloudbabies. Other partners on board in the UK include Vivid for master toys and Penguin Children’s Books for publishing.